Accessible now by invite only, Google+ is the search engine's answer to Facebook. (CNN) -- Want to come to the Google+ party? Well, sorry, you'll need an invite. For those of you who are still hankering for a Google+ invite, you may be out of luck for the moment. On Tuesday, when Google announced Plus, the company invited only a handful of chosen tech insiders. Then on Wednesday night, the company said that every one of those people could invite whomever he or she wanted. Google's exclusive soiree was suddenly on its way to becoming a free-for-all kegger. But soon afterwards, Google VP Vic Gundotra said the company had shut down this invite-whomever-you'd-like system because of "insane demand." That could mean that the number of new users was overwhelming Google's servers. Or, given the fact that Google has a heck of a lot of servers, it also could mean that Google just wanted its party to seem more fun than it is. "We've shut down invite mechanism for the night. Insane demand. We need to do this carefully, and in a controlled way. Thank you all for your interest!" The discussion happening beneath that post is Facebooky in its enthusiasm and downright Bieberian in its must-see-this-pop-star desperation. "Thanks for letting us add folks so soon!!! More tomorrow please? ;-)"
"this is crazy in an amazing way, i can see the live streams unfolding in front of my eyes. Google, I approve of ur technical wizardry (is that even a word????)" "come on google, add those servers quick!" "Oh no! I guess my European friends will have to wait?" "We're still ironing out a few kinks in Google+, so it's not quite ready for everyone to climb aboard. But, if you want, we'll let you know the minute the doors are open for real. Cool? Cool." Google has a mixed record, at best, of using the velvet-rope technique to drum up excitement about its products. One thing is clear: The invite-only technique does not guarantee a new website's success. Take Google Wave. The company generated tons of talk around this service in 2009, and when it launched for a certain in-crowd of testers, there was an online frenzy of people trying to get in. Some people, figuring they could cash in on this hysteria, actually were selling Wave invites on auction sites like eBay, according to Mashable, a blog that covers social media. I was one of the lucky chosen ones to have an early invite to Wave -- mostly because I wrote a profile of its founders. But, as Duncan Geere notes over at Wired.com, being early to a party isn't always great. There were so few people on Wave when I started that it was pretty much impossible to tell how that service would work in real life. I chatted on that service with the site's founders more than any actual "friends." Geere puts this simply: "A social site becomes increasingly useful as more of your friends join up to it," he writes. Chances are, you haven't thought about Wave in a while. That's because Google pulled the plug on this ambitious project -- brought to you by none other than the brothers who invented Google Maps. On the other end of the spectrum, Google might also have reason to worry about opening a new service to everyone online all at once. It did that with Google Buzz, another attempt at online social networking, and people flipped out -- but for all the wrong reasons. Buzz is widely seen as a privacy nightmare, since people were automatically signed up to share bits of their online life with friends, whether they were aware of that fact or not. The privacy-related controversy that followed landed Google in legal trouble, as the blog ReadWriteWeb notes. Conversely, Google launched Gmail on April Fool's Day 2004 using the invite-only approach, and the technique worked then. Gmail, which is believed to have about 200 million users, is still one of the Internet's most well-regarded e-mail services. What do you think of these methods? 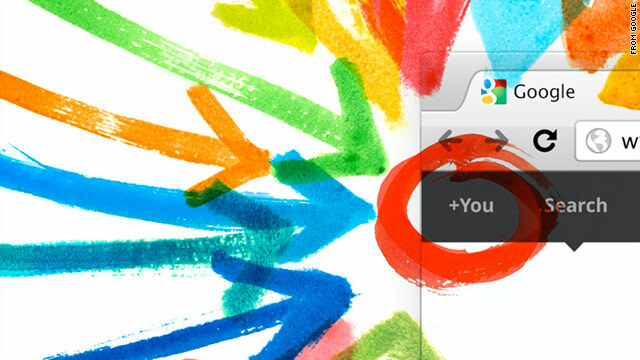 Are you dying to get a Google+ invite? Or do you think these tricks are getting stale? Let us know in the comments section.